With its design reminiscent of old-world craftsmanship, this piece is crafted with functional purpose in mind. 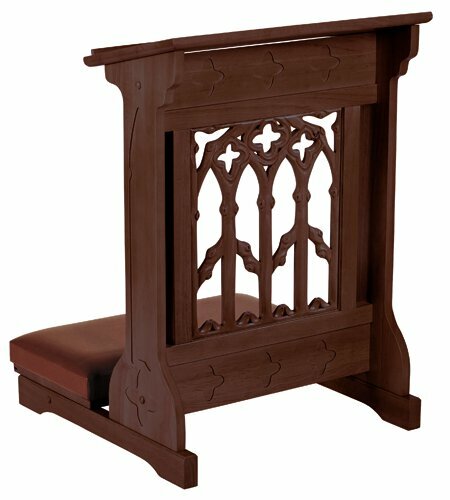 Features an upholstered foam pad and includes 3/8" ledge to hold a book or Bible. Some assembly required. Complements other pieces in the Canterbury Collection. Also available in Medium Oak Stain (#YD035).